To remain healthy, vibrant, safe, and resilient, America’s counties must anticipate and adapt to all types of challenges and changes. This is the canon of the National Association of Counties (NACo), an organization that unites more than 3,000 American county governments. Many of these counties are moving their IT out of an age of legacy stovepipe systems into the digital age of enterprise IT systems. Jack Dangermond, whose company Esri leads the world in GIS technology, was a featured speaker at the NACo eighty-first annual conference and exposition in July 2016. He shared his vision about the future of smart communities in which government is more responsive, productive, efficient, transparent, and engaged with its citizens. The overarching theme of the Esri president’s presentation was that GIS enables a smarter world. Among the company’s lofty goals is its initiative to create a greener infrastructure for America. Esri has created a planning and development solution for analyzing ways to accommodate community growth without adversely impacting the environment. Counties can see what’s at stake—inside and outside their borders—and take action to preserve valuable cultural, scenic, ecological, and agricultural landscapes. 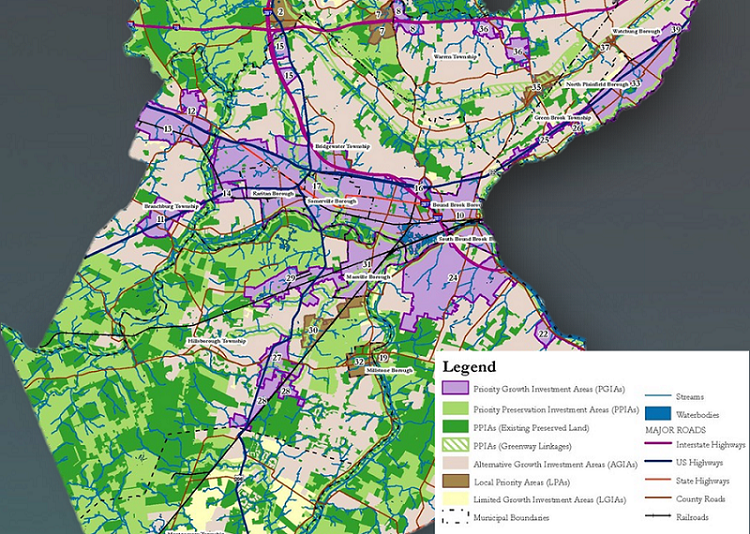 Somerset County, New Jersey used GIS to determine where best to restore and fund green infrastructure. Dangermond noted that humans have never been more capable of sharing and applying geographic knowledge for understanding and taking action. The framework counties need to meet their technological potential is rooted in open platforms. Open platforms invest in interoperability features such as community standards for integrating data and location-based analysis. Open platforms are environments for innovation wherein people can share ideas with groups and communities and collaboratively roll up their sleeves to solve problems. In recent years, Esri’s platform innovations have been centered on web GIS, which drives smart GIS concepts. Web apps are the heart of today’s technology and will continue to forward innovative development. The Internet of everything is changing the way people use the web. Performance and usability make people less aware of technology while analytic tools make them more adept at solving problems. The combination of the Internet of things and GIS allows managers to see events unfold on real-time maps. Users can visualize dynamic information about everything, from the built environment of buildings and infrastructure to the natural environment of forests, weather, and oceans. Web GIS provides access to location-based information on any device, anywhere, anytime. Dangermond described ways these capabilities are improving efficiencies for many counties. For instance, county asset managers use web GIS to access detailed information, track vehicles in real-time, see work order status, and so forth. Smart GIS platforms deliver intelligence to public safety officers and emergency responders via dashboards and common operating pictures. Furthermore, county environmentalists use GIS to monitor noise pollution, see the county’s heat spots, and find potentials for renewable energy as well as energy reduction. Tax assessors perform parcel queries and analyze parcel values. As more and more people use web GIS for county services, the list of applications grows longer and longer. 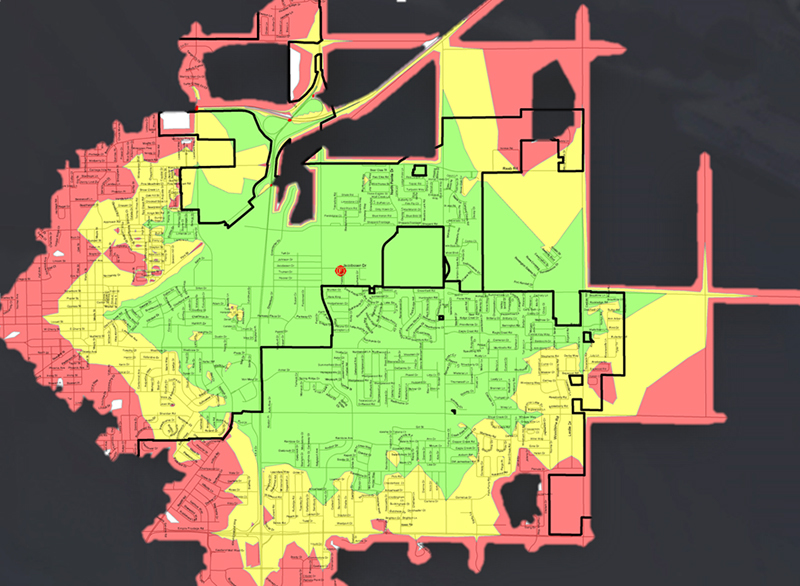 County health departments use GIS to map epidemics and plan treatment. In March 2016, the White House administration announced a plan to prevent opioid overdose deaths by expanding access to opioid abuse treatment. Using the Esri platform, the federal government released an opioid epidemic mapping tool. At the state, county, and ZIP code levels, the web map shows geographic comparisons, of Medicare opioid prescription claims, which are prescriptions written and then submitted to be filled. The map implicates medical and pharmaceutical illicit activities so that county public health officials know where to target law enforcement. They can also determine the most effective locations to set up opioid treatment centers. Approximately 20,000 local governments use the Esri platform on a daily basis. Dangermond offered many examples of successful county projects. 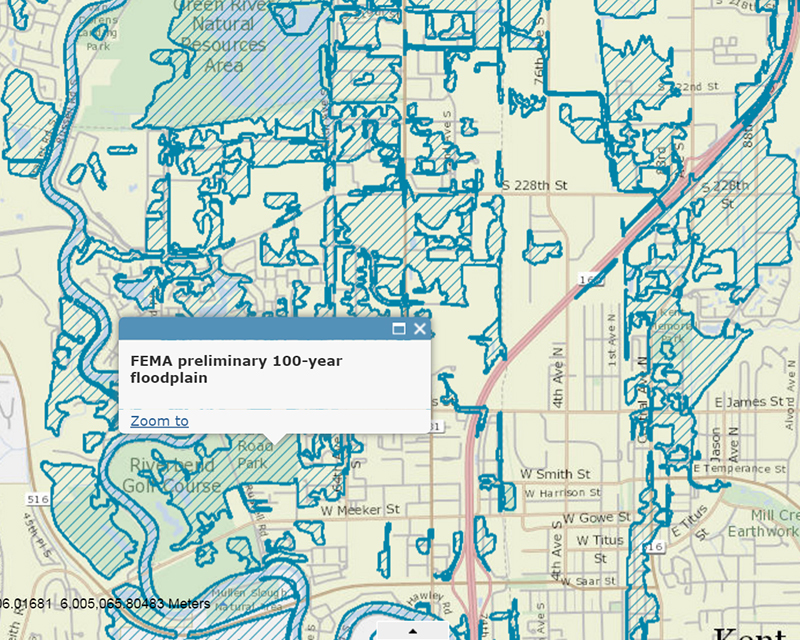 Among them were a fire response time map from Cook County, Illinois, a coastal flood analysis by King County, Washington, and a green infrastructure project showing priority growth areas in Somerset County, New Jersey. Community centric smart GIS is revolutionizing how counties plan and design. County engineers and designers use GIS as a design framework for constructing digital cities. Tools for creating 3D visualizations of buildings, green infrastructure, and transportation improve understanding and have become essential to community design portfolios. Planners and architects combine geodesign methods with GIS technology to design sustainable community landscapes that closely follow natural systems. Concluding his talk, Dangermond encouraged the 2,000 government leaders attending the NACo conference to take steps now to ensure the quality of life for the citizens they serve. Technology is an essential tool for designing and planning our future.